How to Join – U.S.M. If you are a Magic lover or Magician we would love to have you with us as part of our Magic Club. The Society meets on the first Monday of each month (second Monday if the first is a Bank or Public Holiday) in The Marble Cedar Lounge, Errigle Inn, 312-320 Ormeau Road, Belfast. BT7 2 GE.Meetings usually start at 7.15 for 7.45 p.m. The Society provides a very varied programme of meetings throughout the year including at least two lectures by well-known world-class magicians. The Society also hosts a number of other events including an annual dinner and, every three years, The International Brotherhood of Magicians Irish Ring No. 85 convention. Most of all, the Society provides a forum for like-minded enthusiasts to get together to watch, show, talk about, share, teach, learn and generally enjoy magic. Please feel free to browse our website to get a better idea of what The Ulster Society of Magicians is all about. 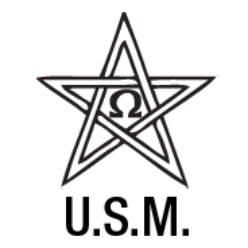 If you’re interested in becoming a member of the U.S.M. please contact our Membership Secretary Paul Gomac whose details can be found on the contact page.